GREAT MILES 4,026! FUEL EFFICIENT 27 MPG Hwy/21 MPG City! Performance Red Pearl exterior and Parchment interior, RDX trim. Heated Seats, Sunroof, All Wheel Drive, Alloy Wheels, Turbo. SEE MORE! KEY FEATURES INCLUDE . Rear Spoiler, MP3 Player, Sunroof, Aluminum Wheels, Keyless Entry. Acura RDX with Performance Red Pearl exterior and Parchment interior features a 4 Cylinder Engine with 272 HP at 6500 RPM*. EXPERTS REPORT Edmunds.com's review says No matter what speed, these brakes inspire confidence thanks to predictable engagement and good feel.. Great Gas Mileage: 27 MPG Hwy. VISIT US TODAY Fisher Auto of Boulder serves the greater Denver area including Longmont, Broomfield, Lafayette, Louisville, Erie, Westminster, Thornton and Brighton. Stop in today or call 303-245-6406 to speak with a brand specialist. THE INFORMATION INCLUDED ON THIS WEBSITE DOES NOT CONSTITUTE AN OFFER TO SELL. THE INFORMATION MIGHT BE INCORRECT AND THE DEALERSHIP IS NOT LIABLE FOR ANY ERRORS. Accessories and color may vary. Aegean Blue Metallic exterior and Black interior, LX trim. FUEL EFFICIENT 40 MPG Hwy/33 MPG City! READ MORE! KEY FEATURES INCLUDE . Rear Spoiler, MP3 Player, Keyless Entry, Steering Wheel Controls, Child Safety Locks. 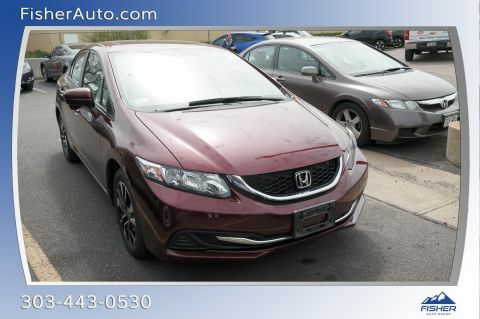 Honda LX with Aegean Blue Metallic exterior and Black interior features a 4 Cylinder Engine with 128 HP at 6600 RPM*. EXPERTS ARE SAYING Honda's little hatchback is nimble and light on its feet and also feels stable at freeway speed. -Edmunds.com. Great Gas Mileage: 40 MPG Hwy. OUR OFFERINGS Fisher Auto of Boulder serves the greater Denver area including Longmont, Broomfield, Lafayette, Louisville, Erie, Westminster, Thornton and Brighton. Stop in today or call 303-245-6406 to speak with a brand specialist. THE INFORMATION INCLUDED ON THIS WEBSITE DOES NOT CONSTITUTE AN OFFER TO SELL. THE INFORMATION MIGHT BE INCORRECT AND THE DEALERSHIP IS NOT LIABLE FOR ANY ERRORS. Accessories and color may vary. Crystal Black Pearl exterior and Black interior, Touring trim. EPA 47 MPG Hwy/47 MPG City! LOW MILES - 13,927! 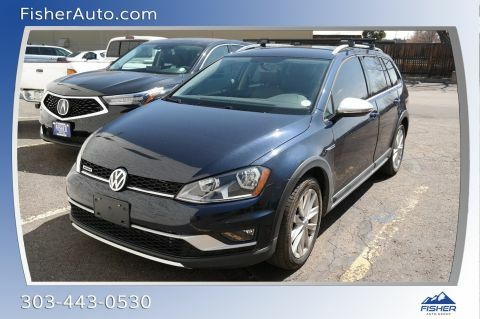 Nav System, Moonroof, Heated Leather Seats, Aluminum Wheels. SEE MORE! KEY FEATURES INCLUDE . MP3 Player, Sunroof, Aluminum Wheels, Keyless Entry, Steering Wheel Controls. Honda Touring with Crystal Black Pearl exterior and Black interior features a 4 Cylinder Engine with 212 HP at 6200 RPM*. EXPERTS ARE SAYING Standard on every Accord, the Honda Sensing suite offers more standard safety features than any sedan in this class. -KBB.com. Great Gas Mileage: 47 MPG City. BUY FROM AN AWARD WINNING DEALER Fisher Auto of Boulder serves the greater Denver area including Longmont, Broomfield, Lafayette, Louisville, Erie, Westminster, Thornton and Brighton. Stop in today or call 303-245-6406 to speak with a brand specialist. THE INFORMATION INCLUDED ON THIS WEBSITE DOES NOT CONSTITUTE AN OFFER TO SELL. THE INFORMATION MIGHT BE INCORRECT AND THE DEALERSHIP IS NOT LIABLE FOR ANY ERRORS. Accessories and color may vary. 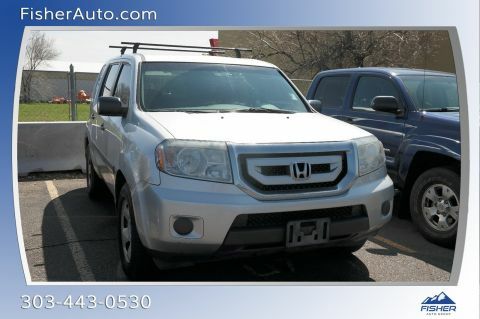 CARFAX 1-Owner, GREAT MILES 20,827! FUEL EFFICIENT 27 MPG Hwy/19 MPG City! Kona Coffee Metallic exterior and Parchment interior, w/Advance Pkg trim. NAV, Sunroof, Heated Leather Seats, All Wheel Drive, Alloy Wheels. READ MORE! KEY FEATURES INCLUDE Rear Spoiler, MP3 Player, Sunroof, Aluminum Wheels, Keyless Entry. 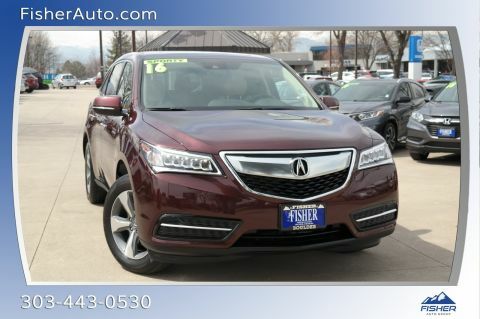 Acura w/Advance Pkg with Kona Coffee Metallic exterior and Parchment interior features a V6 Cylinder Engine with 279 HP at 6200 RPM*. EXPERTS CONCLUDE Edmunds.com's review says Its steering feels light but precise, and overall handling is composed and secure when driving through turns. 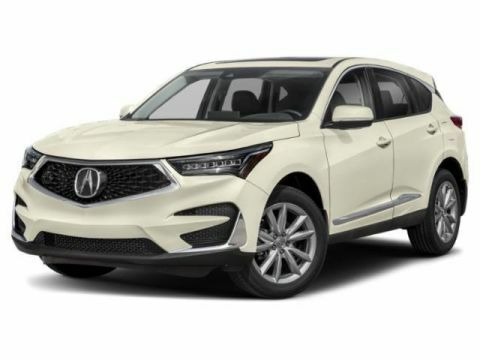 On the open highway, the RDX boasts low levels of road and wind noise, with an impressively comfortable ride.. Great Gas Mileage: 27 MPG Hwy. 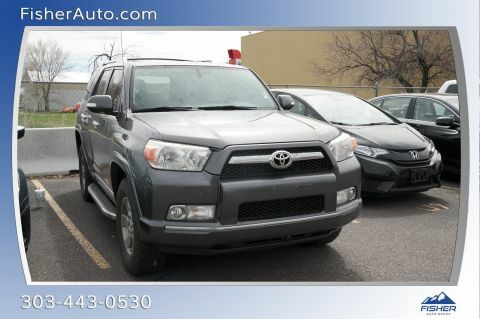 PURCHASE WITH CONFIDENCE CARFAX 1-Owner BUY FROM AN AWARD WINNING DEALER Fisher Auto of Boulder serves the greater Denver area including Longmont, Broomfield, Lafayette, Louisville, Erie, Westminster, Thornton and Brighton. Stop in today or call 303-245-6406 to speak with a brand specialist. THE INFORMATION INCLUDED ON THIS WEBSITE DOES NOT CONSTITUTE AN OFFER TO SELL. THE INFORMATION MIGHT BE INCORRECT AND THE DEALERSHIP IS NOT LIABLE FOR ANY ERRORS. Accessories and color may vary. Lava Red exterior and Steel interior, SV V6 trim. FUEL EFFICIENT 21 MPG Hwy/15 MPG City! Aluminum Wheels, 4x4, Bed Liner, [A93] BED LINER/TRAILER HITCH PACKAGE... Hitch. CLICK ME! KEY FEATURES INCLUDE . MP3 Player, 4x4, Aluminum Wheels, Keyless Entry, Privacy Glass. OPTION PACKAGES BED LINER/TRAILER HITCH PACKAGE Bed Liner, Trailer Hitch (PIO). Nissan SV V6 with Lava Red exterior and Steel interior features a V6 Cylinder Engine with 261 HP at 5600 RPM*. VEHICLE REVIEWS KBB.com's review says The new 2017 Frontier boasts some serious off-road chops.. Great Gas Mileage: 21 MPG Hwy. WHO WE ARE Fisher Auto of Boulder serves the greater Denver area including Longmont, Broomfield, Lafayette, Louisville, Erie, Westminster, Thornton and Brighton. Stop in today or call 303-245-6406 to speak with a brand specialist. THE INFORMATION INCLUDED ON THIS WEBSITE DOES NOT CONSTITUTE AN OFFER TO SELL. THE INFORMATION MIGHT BE INCORRECT AND THE DEALERSHIP IS NOT LIABLE FOR ANY ERRORS. Accessories and color may vary. GREAT MILES 18,128! Mazda3 i Touring trim. FUEL EFFICIENT 40 MPG Hwy/30 MPG City! Sunroof, Alloy Wheels. READ MORE! KEY FEATURES INCLUDE Rear Spoiler, MP3 Player, Sunroof, Aluminum Wheels, Keyless Entry. EXPERTS RAVE The front seats are comfortable and supportive, and the sporty bolstering nicely complements the car's nimble handling abilities. -Edmunds.com. Great Gas Mileage: 40 MPG Hwy. WHO WE ARE Fisher Auto of Boulder serves the greater Denver area including Longmont, Broomfield, Lafayette, Louisville, Erie, Westminster, Thornton and Brighton. Stop in today or call 303-245-6406 to speak with a brand specialist. THE INFORMATION INCLUDED ON THIS WEBSITE DOES NOT CONSTITUTE AN OFFER TO SELL. THE INFORMATION MIGHT BE INCORRECT AND THE DEALERSHIP IS NOT LIABLE FOR ANY ERRORS. Accessories and color may vary. Crystal Black Pearl exterior and Black interior, LX trim. GREAT MILES 32,623! EPA 41 MPG Hwy/33 MPG City! CLICK ME! KEY FEATURES INCLUDE . Rear Spoiler, MP3 Player, Keyless Entry, Steering Wheel Controls, Child Safety Locks. Honda LX with Crystal Black Pearl exterior and Black interior features a 4 Cylinder Engine with 130 HP at 6600 RPM*. EXPERTS ARE SAYING Unmatched small car versatility thanks to unique rear seat design; high fuel economy; spacious seating and cargo area; excellent visibility. -Edmunds.com. Great Gas Mileage: 41 MPG Hwy. WHY BUY FROM US Fisher Auto of Boulder serves the greater Denver area including Longmont, Broomfield, Lafayette, Louisville, Erie, Westminster, Thornton and Brighton. Stop in today or call 303-245-6406 to speak with a brand specialist. THE INFORMATION INCLUDED ON THIS WEBSITE DOES NOT CONSTITUTE AN OFFER TO SELL. THE INFORMATION MIGHT BE INCORRECT AND THE DEALERSHIP IS NOT LIABLE FOR ANY ERRORS. Accessories and color may vary. FUEL EFFICIENT 36 MPG Hwy/25 MPG City! Bellanova White Pearl exterior and Parchment interior, w/Technology Plus Pkg trim. NAV, Sunroof, Heated Seats, Alloy Wheels. AND MORE! 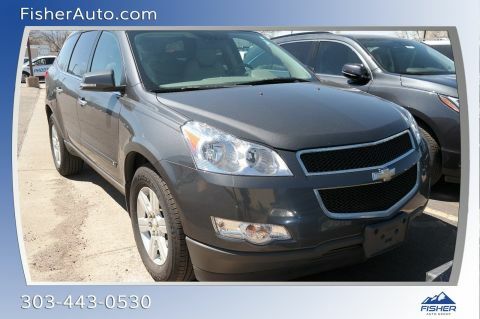 KEY FEATURES INCLUDE MP3 Player, Sunroof, Aluminum Wheels, Keyless Entry, Remote Trunk Release. Acura w/Technology Plus Pkg with Bellanova White Pearl exterior and Parchment interior features a 4 Cylinder Engine with 201 HP at 6800 RPM*. EXPERTS ARE SAYING Edmunds.com explains Special care was used in designing the seats, which are supportive, yet not overly firm or confining. The ILX is also pretty spacious for a compact car, with a decent amount of backseat room.. Great Gas Mileage: 36 MPG Hwy. OUR OFFERINGS Fisher Auto of Boulder serves the greater Denver area including Longmont, Broomfield, Lafayette, Louisville, Erie, Westminster, Thornton and Brighton. Stop in today or call 303-245-6406 to speak with a brand specialist. THE INFORMATION INCLUDED ON THIS WEBSITE DOES NOT CONSTITUTE AN OFFER TO SELL. THE INFORMATION MIGHT BE INCORRECT AND THE DEALERSHIP IS NOT LIABLE FOR ANY ERRORS. Accessories and color may vary. W/AcuraWatch Plus trim. FUEL EFFICIENT 26 MPG Hwy/18 MPG City! Excellent Condition, CARFAX 1-Owner, ONLY 36,529 Miles! Sunroof, 3rd Row Seat, Heated Leather Seats, All Wheel Drive, Alloy Wheels, Non-Smoker vehicle. CLICK ME! KEY FEATURES INCLUDE Rear Spoiler, MP3 Player, Sunroof, Aluminum Wheels, Remote Trunk Release. Acura w/AcuraWatch Plus with Dark Cherry Pearl exterior and Parchment interior features a V6 Cylinder Engine with 290 HP at 6200 RPM*. Non-Smoker vehicle. EXPERTS ARE SAYING Edmunds.com explains Interior storage is excellent, with big cupholders and door bins, plus a deep center bin that can hold a small purse or tablet.. Great Gas Mileage: 26 MPG Hwy. OUR OFFERINGS Fisher Auto of Boulder serves the greater Denver area including Longmont, Broomfield, Lafayette, Louisville, Erie, Westminster, Thornton and Brighton. Stop in today or call 303-245-6406 to speak with a brand specialist. THE INFORMATION INCLUDED ON THIS WEBSITE DOES NOT CONSTITUTE AN OFFER TO SELL. THE INFORMATION MIGHT BE INCORRECT AND THE DEALERSHIP IS NOT LIABLE FOR ANY ERRORS. Accessories and color may vary. 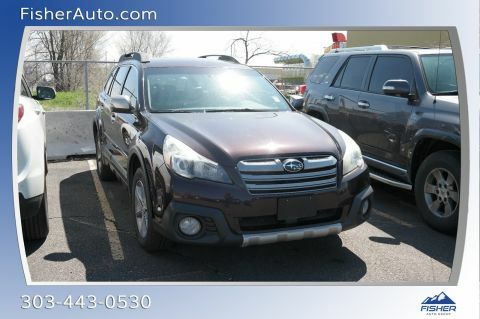 CARFAX 1-Owner, LOW MILES - 47,920! FUEL EFFICIENT 39 MPG Hwy/30 MPG City! EX trim, Crimson Pearl exterior and Beige interior. Sunroof, Alloy Wheels. AND MORE! KEY FEATURES INCLUDE . MP3 Player, Sunroof, Aluminum Wheels, Keyless Entry, Remote Trunk Release. Honda EX with Crimson Pearl exterior and Beige interior features a 4 Cylinder Engine with 143 HP at 6500 RPM*. EXPERTS ARE SAYING Edmunds.com explains . the rear-seat accommodations are excellent for this class. The rear bench is mounted high enough to provide proper thigh support for adults, and it boasts significantly more real-world legroom than key rivals like the Chevrolet Cruze and Ford Focus.. Great Gas Mileage: 39 MPG Hwy. 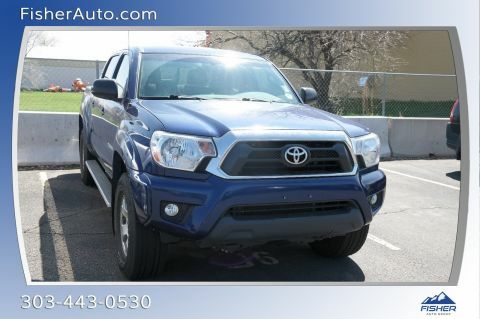 PURCHASE WITH CONFIDENCE CARFAX 1-Owner MORE ABOUT US Fisher Auto of Boulder serves the greater Denver area including Longmont, Broomfield, Lafayette, Louisville, Erie, Westminster, Thornton and Brighton. Stop in today or call 303-245-6406 to speak with a brand specialist. THE INFORMATION INCLUDED ON THIS WEBSITE DOES NOT CONSTITUTE AN OFFER TO SELL. THE INFORMATION MIGHT BE INCORRECT AND THE DEALERSHIP IS NOT LIABLE FOR ANY ERRORS. Accessories and color may vary. LE trim. EPA 25 MPG Hwy/18 MPG City! LOW MILES - 47,441! All Wheel Drive, Alloy Wheels. AND MORE! KEY FEATURES INCLUDE Rear Spoiler, MP3 Player, Aluminum Wheels, Privacy Glass, Keyless Entry. EXPERTS ARE SAYING Edmunds.com's review says On the road, a composed ride and quiet cabin give the Toyota Venza a decidedly grown-up feel.. Great Gas Mileage: 25 MPG Hwy. OUR OFFERINGS Fisher Auto of Boulder serves the greater Denver area including Longmont, Broomfield, Lafayette, Louisville, Erie, Westminster, Thornton and Brighton. Stop in today or call 303-245-6406 to speak with a brand specialist. THE INFORMATION INCLUDED ON THIS WEBSITE DOES NOT CONSTITUTE AN OFFER TO SELL. THE INFORMATION MIGHT BE INCORRECT AND THE DEALERSHIP IS NOT LIABLE FOR ANY ERRORS. Accessories and color may vary. EX-L trim, Basque Red Pearl II exterior and Ivory interior. ONLY 25,467 Miles! NAV, Sunroof, Heated Leather Seats, Alloy Wheels, 4x4. CLICK NOW! KEY FEATURES INCLUDE . MP3 Player, Sunroof, 4x4, Aluminum Wheels, Privacy Glass. Honda EX-L with Basque Red Pearl II exterior and Ivory interior features a V6 Cylinder Engine with 271 HP at 6200 RPM*. 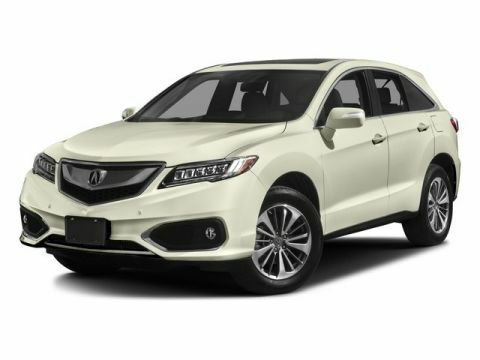 EXPERTS ARE SAYING Edmunds.com's review says The 2013 Honda Crosstour provides more versatility and utility than a midsize sedan.. WHY BUY FROM US Fisher Auto of Boulder serves the greater Denver area including Longmont, Broomfield, Lafayette, Louisville, Erie, Westminster, Thornton and Brighton. Stop in today or call 303-245-6406 to speak with a brand specialist. THE INFORMATION INCLUDED ON THIS WEBSITE DOES NOT CONSTITUTE AN OFFER TO SELL. THE INFORMATION MIGHT BE INCORRECT AND THE DEALERSHIP IS NOT LIABLE FOR ANY ERRORS. Accessories and color may vary. RX 350 trim. ONLY 58,025 Miles! FUEL EFFICIENT 24 MPG Hwy/18 MPG City! All Wheel Drive, Alloy Wheels. CLICK NOW! KEY FEATURES INCLUDE Rear Spoiler, MP3 Player, Aluminum Wheels, Keyless Entry, Privacy Glass. VEHICLE REVIEWS CarAndDriver.com's review says This big seller practically invented the luxury crossover segment and continues to hone its craft of combining a smooth ride, a feature-rich options sheet, and innocuous styling.. Great Gas Mileage: 24 MPG Hwy. VISIT US TODAY Fisher Auto of Boulder serves the greater Denver area including Longmont, Broomfield, Lafayette, Louisville, Erie, Westminster, Thornton and Brighton. Stop in today or call 303-245-6406 to speak with a brand specialist. THE INFORMATION INCLUDED ON THIS WEBSITE DOES NOT CONSTITUTE AN OFFER TO SELL. THE INFORMATION MIGHT BE INCORRECT AND THE DEALERSHIP IS NOT LIABLE FOR ANY ERRORS. Accessories and color may vary. SR5 trim. 4x4, Aluminum Wheels, Hitch. 5 Star Driver Front Crash Rating. CLICK NOW! KEY FEATURES INCLUDE . Rear Spoiler, MP3 Player, 4x4, Aluminum Wheels, Keyless Entry. EXPERTS ARE SAYING Lower base prices, off-road ability and towing capacity, likely to be reliable. -CarAndDriver.com. 5 Star Driver Front Crash Rating. 5 Star Driver Side Crash Rating. WHY BUY FROM US Fisher Auto of Boulder serves the greater Denver area including Longmont, Broomfield, Lafayette, Louisville, Erie, Westminster, Thornton and Brighton. Stop in today or call 303-245-6406 to speak with a brand specialist. THE INFORMATION INCLUDED ON THIS WEBSITE DOES NOT CONSTITUTE AN OFFER TO SELL. THE INFORMATION MIGHT BE INCORRECT AND THE DEALERSHIP IS NOT LIABLE FOR ANY ERRORS. Accessories and color may vary.